As developer CD Projekt RED continues to release content for this year’s popular The Witcher 3: Wild Hunt, a film adaptation of the Andrzej Sapkowski novel series has been announced by The Sean Daniel Company, which previously produced The Mummy: Tomb of the Dragon Emperor, “The Expanse,” and the upcoming remake of Ben-Hur. 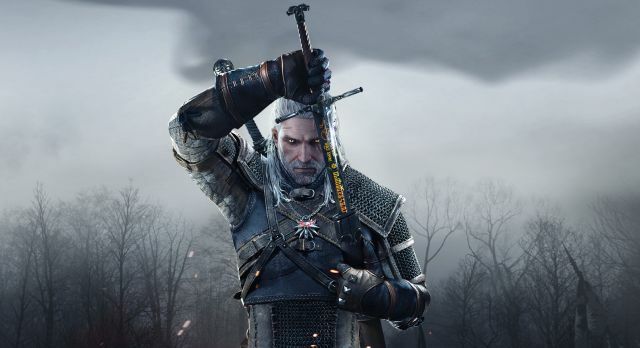 They will co-produce the Witcher movie with Platige Films. Academy Award nominated director Tomasz Bagiński (“The Cathedral”) will direct the film, having previously directed the opening cinematics for the first two games in the series. Thania St. John (“Grimm,” “Chicago Fire”) will pen the script for the Witcher movie, which will be based on themes from the short stories “The Witcher” and “Lesser Evil” from “The Last Wish” collection. The Witcher movie will be an introduction to Geralt the witcher, a nomadic monster hunter for hire, and his duel world of men and beasts. The film is also being planned as the beginning of a television and film series with the first movie set for a world premiere in 2017. Jarosław Sawko and Piotr Sikora will be the producers from Platige Films’ side and Sean Daniel and Jason Brown from The Sean Daniel Company. The Witcher was previously adapted into a feature film in 2001, which also had a TV series continuation. CD Projekt RED’s games have gone on to be critical and commercial successes with additional content for this year’s “Wild Hunt” set to roll out next year.